Financial aid is available from different sources. You may be eligible to receive financial aid from the Federal Government, the state where you live or the institution you are attending. Below is a summary of information about the different kinds of financial aid that is available. Please be aware that most Federal, State and Institutional awards require at least half-time enrollment at UH Hilo. The Federal Pell Grant is a program for high need undergraduate students who have not earned a first Bachelor’s degree. To qualify for a Pell Grant, you must be enrolled at least half-time. In some cases, students enrolled less than half-time may qualify. Award amounts, based on a student’s EFC, are determined by the U.S. Department of Education based on congressional funding. The maximum grant for the 2018-2019 year is $6,095 for students enrolled on a full-time basis. Awards for students enrolled less than full-time will be adjusted based on enrollment status. The Federal Supplemental Educational Opportunity Grant is for undergraduate students with exceptional need. Normally, the grant is awarded to students who are eligible for the Federal Pell Grant and have the lowest Expected Family Contribution (EFC). Depending on the availability of funds and a student’s demonstrated need, a FSEOG award for full-time enrollment can be as much as $2,000 per academic year. The Federal Work-Study Program is used to provide part-time employment to students with financial need. Recipients must be enrolled at least half-time to participate. Students are paid at least the minimum wage and are paid twice a month. The Financial Aid Office will determine the earnings limit for each student. Employment opportunities exist in most campus departments. In addition, work opportunities are available in off-campus community service sites. A listing of all job openings is available online at Student Employment & Cooperative Education . For more information visit the Student Employment Office located on the first floor of the Student Services Center. Direct Subsidized Loans are available to undergraduate students with financial need. The Financial Aid Office will determine the amount you can borrow, and that amount may not exceed your financial need. The U.S. Department of Education pays the interest on a Direct Subsidized Loan while you’re in school at least half-time, for the first six months after you leave school (referred to as a grace period*) and during a period of deferment (postponement of loan payments). Repayment begins six months after a student graduates, leaves school or drops below half-time enrollment. Note: If you receive a Direct Subsidized Loan that is first disbursed between July 1, 2012 and July 1, 2014, you will be responsible for paying any interest that accrues during your grace period. If you choose not to pay the interest that accrues during your grace period, the interest will be added to your principal balance. Direct Unsubsidized Loans are available to undergraduate and graduate or professional students and there is no requirement to demonstrate financial need. The Financial Aid Office will determine the amount you can borrow based on your cost of attendance and other financial aid you receive. You are responsible for paying the interest on a Direct Unsubsidized Loan during all periods. If you choose not to pay the interest while you are in school and during grace periods and deferment or forbearance periods, your interest will accrue (accumulate) and be capitalized (that is, your interest will be added to the principal amount of your loan). Repayment begins six months after a student graduates, leaves school or drops below half-time enrollment. 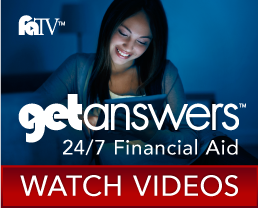 PLUS Loans are federal loans that graduate or professional degree students and parents of dependent undergraduate students can use to help pay any education expenses not covered by other financial aid. The U.S. Department of Education is the lender for PLUS loans and applications for these loans are subject to credit approval. The maximum loan amount is the student’s cost of attendance (determined by the school) minus any other financial aid received. Aggregate Loan Limits for Subsidized and Unsubsidized Loans $31,000 – No more than $23,000 of this amount may be in subsidized loans. $57,500 for independent undergraduate students (and dependent students whose parents are unable to obtain PLUS loans) – No more than $23,000 of this amount may be in subsidized loans. $138,500 for graduate or professional degree students. This limit includes federal loans received for undergraduate study. Recipients of this award must be bona fide residents of the State of Hawaiʻi. The award is for students with financial need who are enrolled at least half-time. These scholarships are available to resident and non-resident students who merit assistance because of their achievement and/or service to UH Hilo. The award may cover up to the cost of UH Hilo tuition. The State Higher Education Loan is available to qualified bona fide Hawaiʻi residents who demonstrate financial need. Annual loan limits may vary and the interest is a fixed 5% with repayment beginning nine months after a student graduates, leaves school or drops below half-time enrollment. Loans are repaid monthly over a 10-year period. Recipients must complete a SHEL Master Promissory Note as well as a SHEL Entrance Counseling. Grant funds are available to graduating seniors from a public Hawaiʻi high school who have at least a 3.0 high school grade point average, have completed a rigorous high school curriculum, demonstrate financial need and are a bona fide Hawaiʻi resident. Students must also be enrolled full-time to be eligible. The various team coaches in the Athletic Department determine these awards. Be accepted by the UH Hilo Admissions Office with a residency status of “Pacific Islander Non-Resident Exempt”. The student's residency status is reflected on the acceptance letter issued by the Admissions Office. Demonstrate financial need. Financial need is demonstrated by applying for financial aid using a FAFSA (Free Application for Federal Student Aid). Be a new student entering UH Hilo in Fall 2007 or later, or returning to UH Hilo in Fall 2007 or later after taking a break from enrollment at UH Hilo. Be a classified student enrolled in either an undergraduate, graduate or professional degree program. The University of Hawaiʻi Hilo participates in the Western Undergraduate Exchange (WUE), a program of the Western Interstate Commission for Higher Education (WICHE). Through WUE, students who are residents of one of the western states may enroll at UH Hilo at a reduced tuition of 150% of the institution’s regular resident tuition. These western states are Alaska, Arizona, California, Colorado, Idaho, Montana, Nevada, New Mexico, North Dakota, South Dakota, Oregon, Utah, Wyoming or Washington State. View the WUE program application for more information (PDF). Students are able to apply for both University of Hawaiʻi System scholarships as well as UH Hilo scholarships on the University of Hawaiʻi System Common Scholarship Application . The application contains questions that are required for all students, regardless of which UH campus you will be attending. To be considered for the greatest number of scholarships, applicants should also complete UH Hilo’s campus specific page. The Chancellor’s Scholarship is a prestigious award created for exceptional graduates from Hawaiʻi high schools. The award covers four years of undergraduate tuition. For more information about this scholarship please visit the Chancellor's Scholarship page. The UH Board of Regents established the Regents and Presidential Scholarships to support Hawaiʻi students with a record of outstanding academic achievement. For more information about these scholarships, please visit the University of Hawaiʻi Regents and Presidential Scholarships page or contact Shana Kaneshiro in the UH Hilo Financial Aid Office. Students interested in applying should complete the University of Hawaiʻi System Common Scholarship Application . For Regents Scholarship applicants ONLY: You must also submit test scores (SAT or ACT) to the UH Hilo Admissions Office by the scholarship deadline (March 1) to be considered. What inspires you? At UH Hilo, our students inspire us each and every day. Our Inspired by You scholarships give you the chance to share your story of how you are inspired by the ‘Āina, Discovery, Innovation, and Each Other, and the opportunity to earn scholarships ranging from $500 to $10,000. Visit the Inspired Scholarship page. Several external organizations have scholarships available to UH Hilo students with a brief description of scholarship and/or basic eligibility requirements. Detailed information and applications are available on the scholarship list. All programs available to veterans and/or dependents of veterans are administered through the Office of the Registrar. If you are eligible for assistance through these programs, please contact the Office of the Registrar. If you have any additional questions regarding your eligibility, those should be directed to the U.S. Department of Veterans Affairs at 1-888-GI-BILL-1 (1-888-442-4551) or you may refer to VA Benefits website . Receipt of certain types of VA benefits may affect your financial aid eligibility. If you are receiving an outside scholarship, you are required to notify the Financial Aid Office. Scholarships will first be used to reduce any unmet need and/or any need-based work/loans in the financial aid awards. If necessary, grant awards may also need to be adjusted.